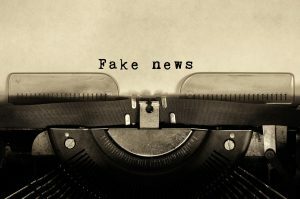 Professor Jackie Harrison, CFOM Chair, writes about the long history of media manipulation and fake news, and the staying power of quality journalism. This piece for The Conversation, published on the World Press Freedom Day 2018, marks also the UNESCO announcement for Jackie Harrison, who has been awarded a prestigious new UNESCO Chair in Media Freedom, Journalism Safety and the Issue of Impunity. Falsehoods almost always beat out the truth on Twitter, penetrating further, faster and deeper into the social network than accurate information… [perhaps because] false stories inspired fear, disgust, and surprise… [while] true stories inspired anticipation, sadness, joy, and trust. The proprietor of the Daily Express, Lord Beaverbrook. Nevertheless quality journalism has a history of survival. Why? Because the public, according to most audience surveys, persistently value accurate, sincere and objective news – news that they believe displays editorial integrity. And they do so because they conform to a deeply held need for a fair-minded and comprehensive understanding of events. In other words, the public regard quality journalism as a civil necessity.The co-existence in the media of what is regarded as desirable and undesirable is inevitable and inescapable. Journalism that is uncomfortable, truthful, critical and interpretative does so because it has a civil disposition. We need it. And this, as ever, is what is at risk.